Once I was diagnosed with my chronic illness, my world turned upside down. Things that were once important were now insignificant. I didn’t know who I was anymore and unsure of the future. 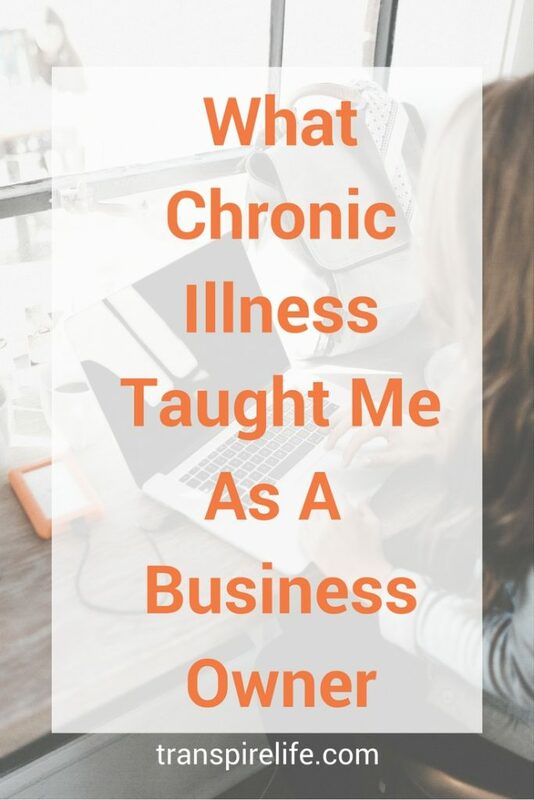 Over the course of this year, my chronic illness has taught me a lot about Business and being a business owner. I had to find myself again and change my entire business model -in personal to online. This has been a year of rediscovery, clarity, adapting, and pivoting in my life and business. Instead of networking in person, I had to figure out how to network online. Thank goodness for Facebook Groups. I knew that only you can make yourself happy, but I didn’t practice it. I spent longer than I’d like to admit in a pity party feeling helpless and useless. One day, I told myself that I refuse to feel that way any longer. I reevaluated my priorities, values, and skills. How could I use this to my advantage? How could I still do what I love, but in a different way? It’s weird how much people saw me differently once they found out about my chronic illness. This was the fastest way to get rid of a lot of negative people in my life. Those that saw me as weak and broken, not the same person, not reliable… They took themselves out of the picture for me and it made it easier to finally break away from other relationships I shouldn’t have. During this time, I also saw who my real friends were. We became closer, even if they didn’t understand. I found new friends – who are chronically ill for understanding and business friends in general. Having that new space allowed me to surround myself by amazing people who wanted to lift each other up. I finally felt accepted for who I was. In Business, no matter how much we plan, things don’t always work out the way we thought, or life happens. Instead of trying to worry and control what we can’t control, I’ve learned that it’s much easier, and less stress, to give myself more flexibility and down time in my schedule. 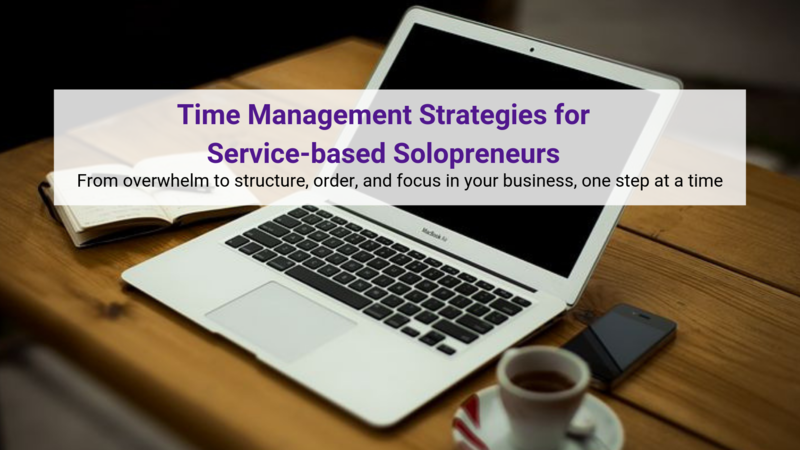 I hear a lot of successful Entrepreneurs talk about time-blocking. I had already done this, but with a chronic illness, I had to step up up a notch. I allot myself more time in case I’m not feeling great. The time I block on my calendar is so I don’t feel rushed to get something done. There is still a deadline, but if it takes me longer to get done, I don’t beat myself up because I allowed more time to hit that deadline. Before I was diagnosed, I didn’t understand what “self-care” meant. I had read and heard about it, but it didn’t register for me. I thought it was just about meditation, bath salts and making time for yourself. But, after reading this article, it clicked. There was more to it than this simplification I had heard about. On days I feel better, I’ll crank out more in my business. When I’m having a bad “body day”, I don’t feel guilty about resting because I need to. Some things you shouldn’t push though. Listen to your body. You’re no good to anyone – your family, your clients, your partner, unless you take care of yourself first. What was once a fear, I now embrace it. I don’t know what will happen or how I’ll feel day to day. It took awhile, but I finally accepted that fear of the unknown was not worth worrying about anymore. It caused too much panic, stress, and prevented me to take action on my business ideas. Now, I embrace the unknown by keeping an open mind for opportunities, continue learning, and now react in practicality instead of panic. 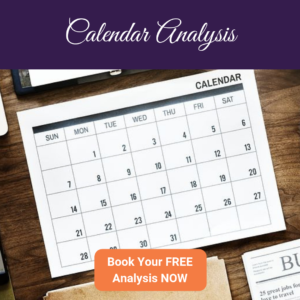 My chronic illness has pushed me to become a better business owner, sooner, and I”m grateful for what I’ve learned from it this year. How has chronic illness made you a better blogger or business owner? Share in the comments below.